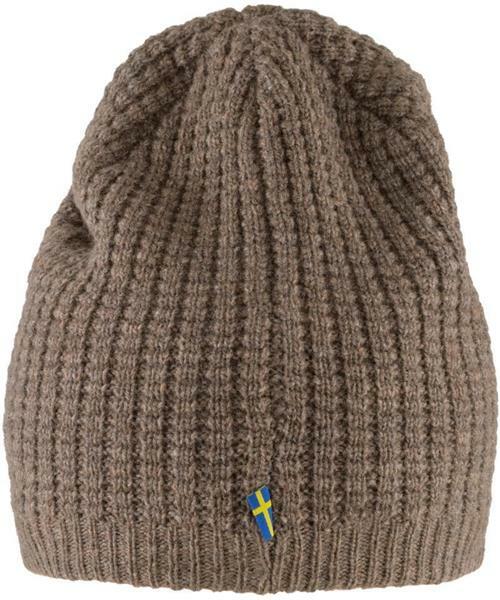 Knitted hat in a soft, comfortable wool blend. Patterned with a waffle-knit structure and rib-knitted lower section. Perfect for cold autumn and winter days, and small enough to fit easily in a pocket when not in use.